do premature babies in hospital get sick or have an infection ? Why do premature babies in hospital sometimes get sick or have an infection? dear Cheeky Chums can a very premature baby could pick up an infection in the Nicu is this true? yes it is possible its a longer road to recovery for the very immature premature babies because they would have needed this time to develop in the womb to grow to full term. Due to being so tiny, are more at risk of picking up germs etc due of the longer time being on artificial life support or tubes and lines being fitted into a premature baby’s body. For instance a premature baby can have a very sore throat or slight damage to the vocal cords.This is due to tube being inserted long term to assist in baby’s breathing. 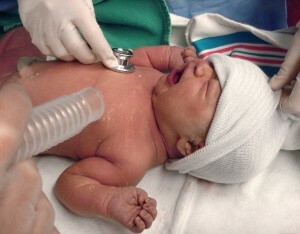 baby may need medication afterwards to soothe the throat where a ventilator has been helping baby to breathe. A premature baby can have infection due to line inserted on a long term basis. If you have ever had a stay in hospital and had a line in the vein on the back of you hand after a few days of it being in it starts to itch and become sore so the very tiny babies are so delicate and very fragile and have a more rough deal. Or other blog posts cover infections in premature babies in more detail.type in a topic in the search box above and it should come up for you. we have tried to talk about every thing premature baby related .